In “Dark Places of the Earth,’’ Georgia Southern University scholar Jonathan M. Bryant dissects the legal and moral conundrum surrounding the federal seizure of the slave ship Antelope off Florida in the 1820s. Besides providing a glimpse into the brutal and dangerous world of the slave trade, he overhauls our view of numerous early American historical figures — not only Key but also John Marshall, James Madison, and John Quincy Adams. The case of the Antelope is one of the most peculiar episodes to emerge from the peculiar institution of slavery. It was at once a court trial and a foreshadowing of the national trial to come, raising the very issues that would be addressed two decades later in the Amistad case and that would plunge the nation into Civil War in 1861. In Bryant’s gripping telling, the moral contradictions of the time are laid bare. Central to this was the popular view then of the slave trade as evil (and almost universally illegal, though restrictions were not uniformly enforced), coupled with the acceptance of the practice of slavery (regarded, in the American South and elsewhere, as morally allowable and economically indispensable). Carefully researched, beautifully crafted, “Dark Places’’ — the title comes, ominously but evocatively, from Joseph Conrad’s “Heart of Darkness’’ — is one of the very few books that delivers on the promiscuous promise to employ an obscure episode to offer new insights on a well-trod byway of history. In the process we learn of the economy of Cuba, the global ambitions and moral limitations of 18th century Spain, and the vagaries of early international law. Besides the cognitive dissonance regarding slavery, the early 19th century was marked by another involving piracy and privateering. The former was considered thievery; the latter was allowed, as long as private vessels confined their efforts to capturing ships of a nation’s enemies. That is where the Antelope incident begins. A ship affiliated with Latin American rebels based primarily in Uruguay boarded the Antelope, a Cuban ship. 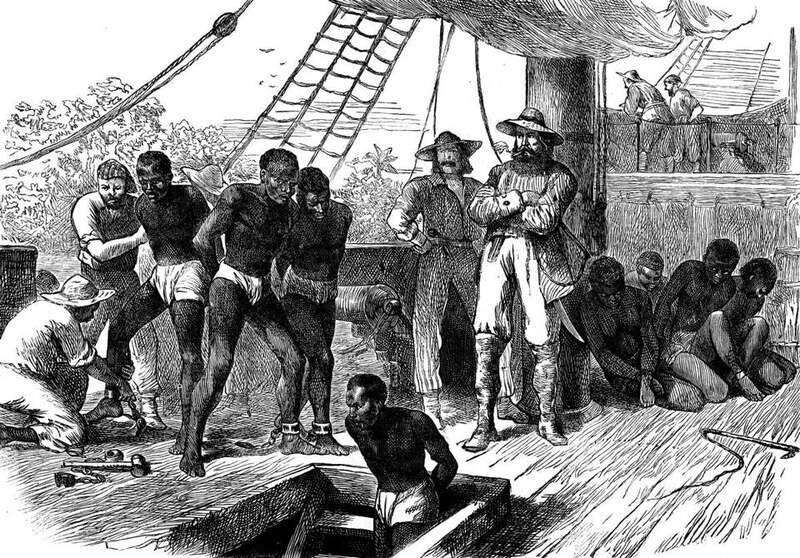 This was a legal act of privateering that set in motion a narrative that introduces us to the gangs that marauded through central Africa; the violence and lawlessness that prevailed at sea and at port; the great financial stakes and great oppression of the slave ships; and the great perils of the slave-trade passage, from disease to drowning for the captives to desertion of crews for ship captains. This was a case of natural law versus national law. Lawyers picked apart each others’ arguments — the very arguments that would produce the Compromise of 1850, the Dred Scott case, and secession. In the end, Key lost the case, which took years to grind through the courts. In trying to determine specific ownership of the slaves, however, Chief Justice Marshall ended up declaring many of them free, and they were returned to Africa. They settled in Liberia, but the issue of enslavement was itself far from settled.